Born in 1944 in Brazil, André Faria gave up his architecture studies to follow stage direction classes at the Modern Art Museum of Rio de Janeiro, while participating in the shooting of Léon Hirschmann’s « Garota de Ipanema ». 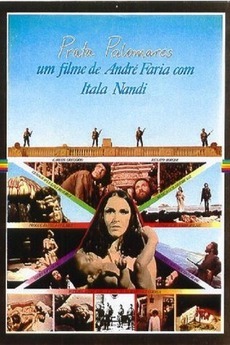 From 1967 to 1969, he worked on 18 films of the « Cinema Novo » as production manager, co-writer, editor. In 1970, he directed his first long feature, « Prata Palomares », which scenario was co-written with José Celso Martinez, manager of the « Oficina Theater ». The film was banned in 1971, and he did not direct since, but kept on working in the film industry, theater and advertisement.